I’ve noticed that, since I first signed up to CathInfo, the standards of written English, in particular spelling, has gradually declined. I am not speaking of mistakes made because members don’t reread to make corrections, but persistent mistakes which illustrate that the writer does not understand the formation or meaning of the word. So I have been wondering for a while how to approach this. This morning I did some reading from an anonymous thread and I discovered several mistakes, and decided to collect and try to correct – of course, on a new non-anonymous thread. So here we go. Feel free to add your own contributions or comments. I hope to add more as they appear. Not naming the poster of wrong spelling, of course, though she/she may recognise themselves. Complimentary means praising. The writer means to say Complement – one makes up for what the other lacks: hence complementary. When I saw this one I thought it should be immanent, but I was wrong. Immanent means remain in or indwelling whereas the writer means to say “about to happen” or literally “hanging over”. Subtle is an adjective so add ly to subtle to make the adverb – subtlely. There is a problem with the auto-correct feature as it cannot recognize homonyms such as their, there, and they're. In addition, archaic but correct spellings are often recognized as incorrect by the auto-correct features we use today. Even the words you, your, you're, yours, our, and ours are often not corrected by the auto-correct features because the words are spelled correctly in themselves, but they are not spelled correctly in the context in which they are used. Thus, the auto-correct feature will not flag many word as incorrect. In addition, as one reaches old age, with blurry vision, astigmatism, brain injury due to TIAs or strokes, and/or presbyopia, or as one develops pre-diabetes or diabetes, which is very common today, one's vision deteriorates and a person is more dependent on these auto-correct features. Furthermore, some people are legally blind from disease or injury, or they were born that way and must dictate their communications, which are totally dependent on an auto-spell feature, which also makes mistakes. I have communicated online with several individuals who are legally blind from birth, and it amazes me that they are able to participate in board discussions as well as they do. Then there are those who are dependent on their smart phones using tiny buttons and who are typing while driving. Not only are they endangering their lives and the lives of all them around them, but also they often use text message abbreviations or auto-dictate features that can drive prescriptive grammarians batty. Finally, those of us who are trying to revise our posts may make a change such as reversing our clauses. This leads to grammatical errors, which are not spelling errors but awkward construction errors. Those of us who are vision-compromised do try to correct our spellings within the 15 minutes allowed by Matthew's board, but sometimes, we receive a phone call or must answer the door bell, and then unfortunately, we fall outside the time to edit. And, yes, it is very embarrassing and humbling to see those glaring typographical errors. All of us in the end, must depend on the charity of others to be patient, loving, and kind as St. Paul recommends. I have found that books such as There is No Cow in Moscow can be very helpful. There are online help guides, too. Nadir, what online websites do you recommend? Maria Regina, would you believe I half finished my response to you then accidentally deleted it! You make some excellent points. Life and literacy have changed tremendously in our latter days. These auto-correct and auto-spell features are meant to make life easier, at least for some, but they are not fool-proof and not always useful, at least to me. I prefer to do-it-myself correct. By the way, is it not ironic that auto means self, but you don’t do it your self, your computer does it. You touch on the issues surrounding physical problems and aging. I too feel those keenly, and it is important to keep one’s mind sharp and one’s thinking clear. You make good points to be considered. Smart phones are something I’m staying away from! I didn’t realise that Matthew allow 15 minutes for a post, but I must take longer as I am almost always told I’ve taken longer and do I still want to post. I do and it always “takes” (so far). My point in starting this thread was the hope of helping any who had trouble with spelling in particular, those who have for one reason or another missed out on learning the rules, such as they are, in our complex language, and those who are educating their own children at home. We can all improve and we can help one another. I had not heard of There is No Cow in Moscow. Here we are touching on the subject of pronunciation, I presume, which of course is closely related to the subject of spelling, and is a challenge for English speakers and English learners. Ask any English speaker how he pronounces the vowel “a”. There are about seven or more correct answers, though I can’t think of them all right now. Consider the various “a” sounds here: What day does Mary plan to eat the awesome avocado? Maria Regina, I have no websites to recommend. I usually just do a ducksearch. My husband, coming later in life to English usage, likes to use https://www.vocabulary.com/play/ to constantly improve his knowledge of the language and is now graded “Walking Dictionary”! Ha ha! 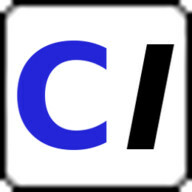 Also WordReference.com which is also useful for translations. I believe the best way to improve our knowledge of the written language and to learn how to express ourselves in it is to read, read, read good literature. The study of other languages can also be a big help in understanding your own. This is not a spelling question but a pronunciation one. as bles-said, as in the Hail Mary. Writing strictly, the exceptional "-ed" pronunciation should be indicated by a grave accent placed over the "e" under discussion, thus "-èd", to distinguish it from the "-d" or "-t" pronunciations). It'd be incorrect to use an acute accent, because that properly marks the emphasized syllable, which remains the first one. U.S. English typically spells words without using any accent marks (harrrummmph! ), except those that appear in words of foreign origin, altho' not in many French words imported by the successful invaders from Normandy in 1066. It's technologically intriguing that typewriters achieved widespread manufacture & use with the accent-free (i.e., accentless, for readers who feel deprived) keyboards of the U.S.A. The word is solely, not soley; pronounced, sole-ly, with two l's. You got it right at the very end, though! At the end of your sentence, use a period: I'm not saying that feminist women are SOLELY responsible. ----- For a grand total of 5 errors in one sentence about errors! By distinguishing the intro from the message that follows, you make your sentence more clear WITH the comma than without it. Therefore it's a good thing to have. Sole is an adjective, so add -ly to sole to make the adverb – solely. <---- plus, use a period at the end, again! The habitual failure to include the suffix -ly is rampant in America, and has been for over 100 years now. It's not so common among educated British or educated foreigners in British colonies. I knew a woman from Fiji for example, whose diligent inclusion of the -ly suffix to form adverbs on the fly was abidingly impressive. That one thing alone in her speech made her seem like she must be royalty or something like that. Amazing. While typing a message you have a lot to think about, and you might change what you write as you go. So when you've finished a paragraph or a page, it's a good idea to go back and read it over to be sure you didn't miss something. I find the Preview feature helps a lot because the APPEARANCE of the text changes a little bit and there is something extra that jumps out at you when you see the same words in a little different style or font or spacing or whatever, and that something helps to make errors appear prominently. Nadir: Complimentary means praising. The writer means to say Complement – one makes up for what the other lacks: hence complementary. Nadir: When I saw this one I thought it should be immanent, but I was wrong. Immanent means remain in or indwelling whereas the writer means to say “about to happen” or literally “hanging over”. Nadir: Subtle is an adjective so add ly to subtle to make the adverb – subtlely. Neil, I have redone reply #1 to make it clearer for you, hopefully. The words in quote boxes are from various other posters on one single thread. Each is a snippet from a longer sentence with the intention of exposing the spelling mistake. I have collected and commented on the errors therein, followed by my correction of the mistake.. I did not wish to identify the writers. Did you read the thread? None of these words in quotes is mine. These are not my mistakes. But thanks for the lecture anyhow! I can see you got a lot of pleasure in correcting my feeble efforts. I did not pick up on "a feminist women is". Good catch! I suspect that bless-ed (in lieu of blest) is a more antiquated usage, but also, it has a different connotation. We always say, "Bless-ed John" or "John the Bless-ed" when referring to the Apostle and Evangelist, St. John. We don't say, Blest John, or John the Blest. That sounds too close to John the best. Or, we say, e.g., "Bless-ed Pius IX" when referring to a Catholic who has been beatified. Even after they become canonized, sometimes the appellation "venerable" hangs on because of longstanding tradition, e.g., Venerable Bede. I don't think we have to worry about that happening to such figures as JPII "the great" or Paul VI ("Beatified?" - Fr. Luigi Villa). There wasn't any time for any traditions to develop before their so-called canonizations. There is another word in the Hail Mary that hearkens back hundreds of years: amongst. Some say, "...among women..." but others consistently say, "Bless-ed art thou amongst women..."
Then of course, there are the pronouns, thee, thou and thy. I've had friends who use "you... are you... your" (are you, instead of art thou). The different connotation includes the fact that one can be blest by holy water or by a blessing. But that's not what we're talking about when we say Our Lady is Bless-ed. Would that have been the result of the High Priest giving her his blessing? Is that why she is Bless-ed among women, because she got a priest's blessing? A) She is full of grace, that is full to overabundance, such that she is bursting to overflow with graces. Never was there, nor never could there be anything nor anyone more full of something like Our Lady is full of grace. This is why the Protestants cannot stand Luke 1:28 in its traditional form, and why the KJV changed it to "Rejoice favored one." The Greek Kecharitomene points without question to the most extreme and supersubstantial state of being full of grace. B) Our Lady was in the mind of God before He created the universe, as OT Scriptures say, which the Church applies to the Blessed Virgin Mary. Nobody else in the history of creation holds the place that She does, and so while others might be blest, Our Lady is so much more than that. C) The only reason the Hail Mary does not say she is bless-ed among all mankind is for one reason alone, and that is Her Son. Therefore she becomes bless-ed amongst woman-kind because of Our Lord Jesus Christ, who is bless-ed among men. D) Anyone and everyone that we say is bless-ed, falls in line BEHIND Our Lady because she is the prototype of blessedness. E) Some people perform sufficient penance in their life to save their own soul, others perform sufficient penance to save the souls of others too. But there is only one person who performed sufficient penance to save all the souls of all the people who ever lived, and she is Our Lady. Even so, she takes her place behind Our Lord, Who is the source of that salvation, while Our Lady is the chosen means by which we receive it. Maria Regina, I have no websites to recommend. I usually just do a ducksearch. When you said ducksearch, I visualized a pretty iridescent black and white Muscovy drake nodding his large red head forward and backwards as he walks. How do ducks manage to walk and to nod their heads at the same time without getting dizzy? And yet, while they are searching for the next slug, snail or silver legless lizard to grab in their beaks, they continue to nod. 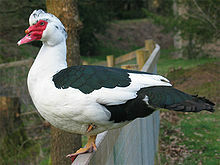 For more information on Muscovy ducks or for information on raising them for their delicious eggs, do a duckduckgo.com search. God is so delightful in His creatures. I do like Muscovy ducks. I did a ducksearch and find out that they are native to Mexico, Central and South America - which causes me to wonder why they are named for an old name for the region around Moscow. Who can explain these English language discrepancies? Neil, I have redone reply #1 to make it clearer for you. The words in quote boxes are from various other posters on one single thread. Each is a snippet from a longer sentence with the intention of exposing the spelling mistake. I have collected and commented on the errors therein. I did not wish to identify the writers. Did you read the thread? None of these words in quotes is mine. These are not my mistakes. But thanks for the lecture anyhow! I don't like the way this platform's quote boxes works, either, so when I omit the quote box many times readers can't tell the words to which I refer are not my words. This is in contrast to other times when readers accuse me of having copied everything I post and that nothing is my own. Go figure. So you were wondering when I would turnip? How's this? None of these words in quotes is [are] mine! .................... you're welcome. The test you use to prove the text right is this: omit words between (e.g., "in quotes") and see if it's right: "...these words ... are mine." That is obviously better than "...these words ... is mine." Corrected form: None of these words in quotes are mine. There are tests like that you can easily use to check grammar in many ways. A very common mistake is to use "me" when you should be saying, "I." They thought it was you guys who came for breakfast, but actually it was Joan and me. Remove these words: "...but actually it was Joan and" then reverse "who came for breakfast," by putting "me" in front of it. Therefore, the test sentence becomes, "Me came for breakfast." Which is incorrect, the right word is "I": I came for breakfast. Consequently, the completed sentence should be this: They thought it was you guys who came for breakfast, but actually it was Joan and I. Because you would not say Joan and me came for breakfast, but you would say Joan and I came for breakfast.